I am absolutely one who struggles with healthy eating. I live to eat. During the work week, I can meal prep and feel as though I am doing pretty well – but when the weekend comes, all bets are off. Wine night with the girls? Yes. Late night munchies at our favorite bar? Yes. Italian pasta dinner at the best restaurant in town? Well, duh. I just cannot say no to food! Especially in the case of a social event. Although it may be the healthier choice, eating a salad while all your friends are chowing down on chicken wings is just not as fun! My husband on the other hand is one who eats to live. He eats when he is hungry (what’s that about?) and only until he is full (blasphemy). I don’t know how he does it! He eats what he wants, but he has more self-control than I have in my pinky finger (speaking of pinky fingers, have you ever dipped your finger in a bowl of whipped cream? So much better than using a spoon!). The STRUGGLE IS REAL! That’s all I am saying. I have tried many forms of “dieting” – some for the purpose of weight watching but most for the purpose of feeling better. As much as I hate to admit it, a weekend full of food and alcohol indulgences does not make you feel good on Monday. I can feel myself crashing as my sugar-levels drop from skyscraper heights to molten rock-core of the earth depths. I crave carbs. Bread. Pasta. Anything sugar. Then, I spend the whole week readjusting so by the following weekend I finally feel good! And then (of course) I think to myself, I deserve a little treat! CRASH/BURN/NOMNOMNOM! I am the cookie monster – only instead of devouring cookies, I devour all food in my path! The cycle repeats! So two days ago, when my husband suggested we try to the Whole30 together, I was extremely reluctant to comply. After all, I live to eat! I love to bake. I love to cook. And no bread? Or pasta? Ughhh. I said no like six times, before I finally said maybe – I would look more into it. As I write this, I am still questioning whether I actually want to give the whole thing a shot! But I am leaning towards saying yes – because how sweet is it that my husband wants to do this together?? And how maniacal is it of me that I want to see if he can ACTUALLY pull it off?? The man whose favorite foods are Alfredo pasta, mac and cheese, mashed potatoes, and chocolate chip cookies? Surely, if he can do it – so can I! Time to toughen up! Not sure what the Whole30 even is? Read my post, “How to Whole30” to learn more about the program basics and the most common misconceptions. I have been doing a lot of research to see if I can find a food plan for free online that will work for us! But I have found this to be more challenging than I expected. I figure, if I am having trouble, other people must be as well! So here we have it – a comparison of a FEW Whole30 websites, what they have to offer, and which one is right for you! Naturally, it makes most sense to go to the source! 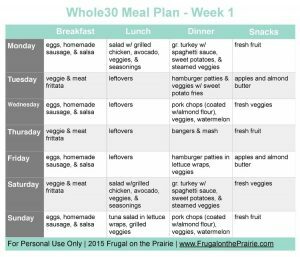 The original Whole30 – might as well see what this plan is all about! 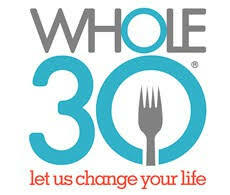 The site has a great number of free tools provided by the creators of the Whole30. Shopping List – Free – Exhaustive – I cannot buy EVERY VEGETABLE THERE EVER WAS! Although informative, I was curious – where is the meal plan? How do I know exactly what to eat and when? I CANNOT do this by myself after all! Well – turns out, like joining any other “diet” plan (i.e. Weight Watchers, Atkins, South Beach, Nutrisystem), joining the Whole30 costs money. Bummer right? I was pleased to find that the program fees were easy to find and rather reasonable! After 1st month, price drops to $15/month. Package Includes: Whole30 Setup, Monthly Real Plans Subscription, Monthly Whole30 Recipe Subscription. After 1st quarter, price drops to $36/quarter. Package Includes: Whole30 Setup, Monthly Real Plans Subscription, Monthly Whole30 Recipe Subscription..
After 1st year, price drops to $84/year. Oh and if you want even MORE – you can add something called the “Whole30 Daily” to any of the above plans for an additional $14.95. This will give you day to day emails from the people at Whole30 to “guide and inspire you.” You can cancel at any time and there is a 10-day money back guarantee – not to mention the website offers plenty of other resources which I am sure would be wonderful to use! So this all seems fine and dandy, however, I am barely certain that I will make it past Day 3 of this Whole30 challenge – I think I would rather find a few recipes/day plans to start out without the monetary commitment. The book covers the guidelines of the program, the compliant and non-compliant foods, tips for getting ready, what to expect, Cheryl’s experience, restaurant meal ideas, and over 100 recipes. You also receive 5 weeks of Whole30 meal plans and shopping lists, including 1 prep list to help you start your Whole30 right. So that isn’t so bad! Less than 10 bucks for all that jazz. Looking at a few of Cheryl’s recipes around the blog, they look pretty delish. Not to mention, she has an entire post on 30 Quick Whole30 Recipes! All whole30 approved?? Cheryl I just might have to try you out! But first, let’s see what our other friends on the internet have to offer! 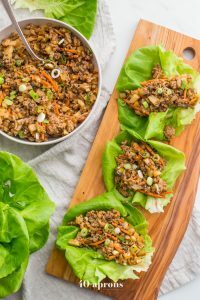 The Movement Menu is a blog which “prides itself on creating delicious, healthy and inspired recipes that are easy to make and even easier to eat.” Monica, the creator, blogs about healthy, nutrient dense, gluten free, paleo and Whole30 recipes, some of which she has created herself and others which has not! Monica offers two meal plans on her site, each one week with a corresponding shopping list. One meal plan is for during the Whole 30 and the other Meal plan is for after the Whole 30 – slowly re-introducing foods which were previously not allowed. Once again, some of these recipes look pretty great! Even if you don’t choose to follow Monica’s meal plan, I think a few of her recommended recipes look pretty awesome! Next up, we have got StayFitMom! A blog by two moms, Tracy and Krista, about their ongoing journey to maintain a healthy lifestyle. 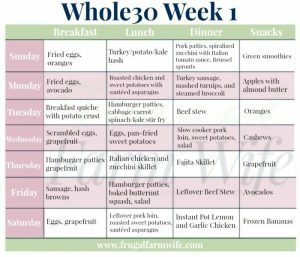 I was able to find a full Whole30 30 day meal plan on StayFitMom, however, there is no shopping list to match! I think this is a great tool to utilize for idea building – but it would be nice if there was a shopping list! The Allison Lindstrom blog is by, surprise – Allison Lindstrom! Allison’s blog is actually about online blogging and business strategies! However, it just so happens that Allison has a post all Whole30 Meal planning. 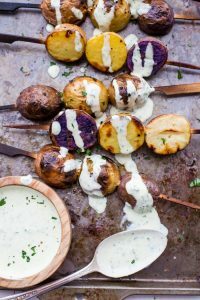 This post is most cleverly titled, The Busy Persons Whole30 Meal Plan. Allison gives a quick overview about the Whole30 – what it is, what to know, what to expect, etc. Allison pulls a 7-day meal plan from Frugal on the Prairie. This meal plan is pretty basic! Seemingly easy to follow and very straightforward! The meal plan is for two adults – but again, no shopping list included. 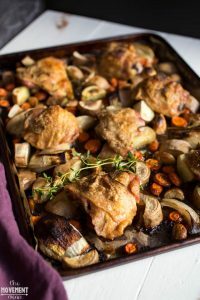 The next site I discovered with details about Whole30 Meal Planning was a blog called Our Paleo Life. 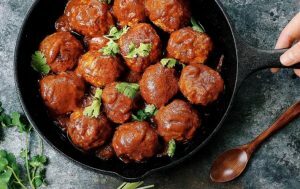 Our Paleo Life has a great deal of recipes for all different types of diet types, including Paleo, Whole30, Keto, Primal, Dairy Free, Gluten Free, and Vegetarian. I mean come on – look at this Taco Salad! It is BEAUTIFUL! 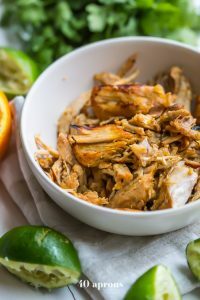 Our Paleo Life does offer a meal plan/shopping list for Whole30 eating which made me really excited! At first glance, everything looked amazing! It was incredibly detailed and seemingly easy to follow. However, as I began to read into the listing a little bit more, I realized it was SO MUCH FOOD! A recommended 7 dozen eggs for one week?! That is when I came to see the fine print – this food plan is for 2 adults and 3 children. Woops! I am only looking to feed two adults right now! Long story short – if you are looking for a family plan, I would highly recommend Our Paleo Life! But, to feed just my husband and me, I think I will look elsewhere. Next up – the Frugal Farm Wife. Elise is a wife and mom of two, who prides herself on living healthily and frugally! She likes to focus on easy “run and done recipes” as well as “homemade home products!” Pretty cool if you ask me. I love how Elise is so honest about the Whole30 diet. She talks about how Whole30 compliant foods can be hard to find and expensive. For example: Grass-fed beef. Actually, for that matter, all compliant meat on the diet! So for her family’s purposes, they choosing to follow an “imperfect” Whole30 diet, consisting of the best meat and vegetable choices available for a reasonable price. This really aligns with how I am feeling about the Whole30 diet – I would love to buy 100% organic meat forever, but that just might not be possible for my wallet or busy schedule. Having said that – Elise does mention being able to buy a week’s worth of groceries for her family of 4 for ONLY $40! Either I am doing something incredibly wrong at my grocery store, or food is way more expensive where I live. I am lucky to spend a minimum of $60 at the grocery store for two in a normal week – maybe I need to learn a few lessons from Elise! Anyway, Elise ventures to feed her family of four on the Whole30 plan for 30 days with a budget of $250! Ambitious! Can she do it? 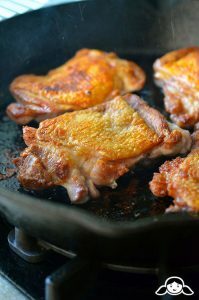 Nom Nom Paleo is a blog by Michelle Tam – Michelle has quite successfully turned a personal food blog about her experiences eating Paleo, into a very successful food site. Michelle has multiple cookbooks and her recipes look incredible. She is a wife, a mother, and character – just reading through a few of her posts already has me giggling. Unfortunately, I could not find a full out Whole30 food plan shopping list on Michelle’s site – but I did find 60 Days of Whole30 Recipes. 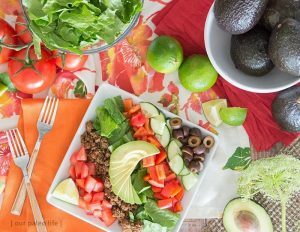 This is an awesome compilation of recipes and suggestions for your 30 days of Whole30 – and beyond! I will definitely be coming back to visit Michelle at Nom Nom Paleo. Perhaps to try out some of her Spice and Sauce recipes or her Cracklin Chicken! It seems as though there are an UNLIMITED number of resources to use for Whole30 – however, you must read the fine print of whatever resources you are choosing to use. Many websites are not strictly Whole30 compliant recipes. 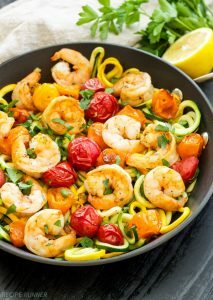 They are often Paleo – and just so happen to include some Whole30 recipes or plans. Having said that, not all websites are totally Paleo either! Some recipes or plans are for families. Some sites will recommend specific Whole30 compliant brands – which is great, but only if you can find those brands in your local stores. Or you are willing to go the extra mile and find them elsewhere/order online/etc. After all my reading and learning, I think I am going to try and combine many resources to create my own version of Whole30. Some of the brands I buy may not be completely “compliant” – and I am sure that I will throw in a glass of wine now and again, because come on – I just love wine! But I figure, doing a variation of the Whole30 is better than not doing anything at all, right? Woohoo! Thanks for including my Whole30 resources 🙂 I’m on one as we speak, and planning and meal prep are so key! How could I not? They are amazing! Thanks for visiting, Cheryl! 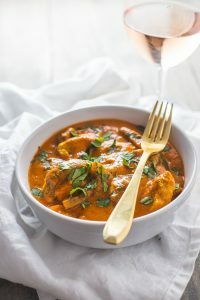 I cannot wait to try out more of your recipes – the Chicken Tikka Masala, wow – so yummy!